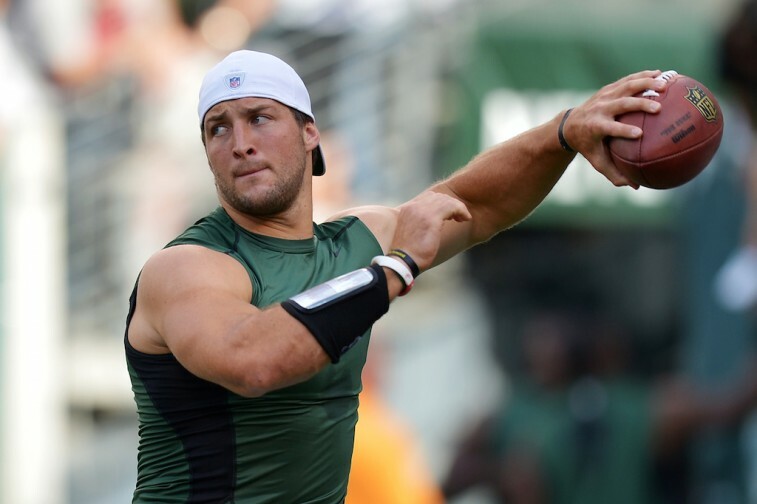 Tim Tebow: Is This Season the Resurrection? The Philadelphia Eagles are Chip Kelly’s show to run. His moves this offseason not only affirm this statement, they also show he’s not afraid to be unconventional with his decisions. He’s going to do what he feels is in the best interest of the franchise, now matter how things are usually done in the NFL. Even if those moves are met with heavy skepticism. He sent LeSean McCoy — the organization’s all-time leading rusher — to Buffalo. He swapped quarterbacks with the St. Louis Rams, bringing in Sam Bradford — a guy coming off two straight ACL tears. He released veterans such as Trent Cole, Todd Herremans, and Evan Mathis. He allowed Pro Bowl-caliber receiver Jeremy Maclin to take his talents to Kansas City. Kelly did all this without even batting an eye. Yet, if there’s one decision that’s cause the most amount of raised eyebrows, it’s the signing of Tim Tebow. Ask folks their opinion on the former Florida Gator and you’re bound to get varying opinions. Some may claim he was one of the greatest quarterbacks in college football history, but he has no business trying to play the position in the NFL. He can’t read a defense, his release is too slow, and the game moves too quickly for him. You can’t be an NFL quarterback with these deficiencies. Others will note his heart and work ethic and incredible ability to pull of victories. He’s the guy you want in your corner when the chips are stacked against you; he’s the kind of guy who can inspire a locker room. Regardless of how you feel about Tebow, one thing we should all be able to agree on is he will continuously give it his all in the name of improvement. Kelly sees this. So do some of the Eagles players. Most notably, outside linebacker Brandon Graham. Shock people? People were shocked when the team brought the quarterback in to begin with. If he was to make the squad and get a considerable amount of playing time, it might be cause people to question all sorts of things. Up would be down, left would be right. There would be mass confusion. But you know what? Good. When we originally watched the above interview, we thought it was bad news for Tim Tebow. As if he wasn’t already going to be under the microscope enough. Now he’s got players defending him and even raising the bar. We believed crazy expectations could actually be the downfall of a guy who’s currently fourth on the quarterback depth chart. Then we took a step back and realized something else; something that outweighs all the pressure and uncertainty of the moment at hand. Tebow has nothing to lose. Which is why anything could happen. Regardless of whether or not Tebow makes the team, someone is going to be right. Perhaps all the former Heisman Trophy needs to swing the balance in his favor, is the support and encouragement of his fellow teammates. After all, what’s the worst that can happen, he doesn’t make the roster? That wouldn’t surprise anyone. But if he somehow finds a way to get back into the game, then Tebow will have the opportunity to rewrite his NFL story. With Eagles training camp getting underway on August 2, we’ll have our answer soon enough. Strap in. Things are about to get exciting. All information is courtesy of Pro-Football-Reference.com, ESPN.go.com, and NJ.com.